This video illuminates the most common misunderstandings about developing a successful online marketing campaign. Take 2 and half minutes to watch it, then read about avoiding these traps in more detail. You have invested so much effort and money into your product, your service and your business. But you have to depend on the quality of your marketing to communicate how special it is. Just like the challenges faced in perfecting your business, you face almost as many challenges getting your message in front of those that care the most and are willing to give you a little more time and attention. This marketing blog and this website were created to help you meet these challenges with more ammunition. The better you're prepared to compete online, the better your chances of success. The video above should help you absorb some solutions to 3 of the top misconceptions about marketing online. Know your skill set. Know what skill sets you do and do NOT possess. If you're comfortable with the understanding that you should be doing what you do best and you must team up with professionals that do what they do best, you will be able to configure a much more productive online marketing plan. Strong advice: Do not try to change professional lanes and learn the highly evolved & sophisticated skill set of inbound marketing on your own. Your business will suffer because your attention has gone elsewhere and outside your expertise. Understanding strengths and weaknesses are the sign of a great leader. 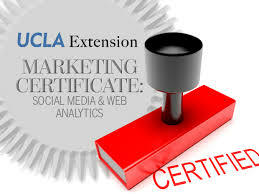 This means, keep doing what made your business strong but research and investigate a certified, experienced team to help you manage your online marketing objectives. It does not. As I mentioned above and as you will see in the video posted at the top of this blog post, the days of digital marketing DIY are over. There is just no reasonable way for you to learn everything that you need to understand in a reasonable period of time. And, do you really want to stop what you're doing to learn an entirely new business skill set? No you don't. It's much better and more productive to partner with a team that already understands how to bring in traffic, convert that traffic into prospects and allow you to convert those prospects into paying customers. This myth is a difficult one to understand. The first thing to see is that there is no such thing as a website that has all content in the best position possible. What does that even mean to you, the search engine and the user experience? When you think content development, it's best to think of "Fresh Content". Search engines, social media platforms and the end user wants to, expects to and demands to have access to fresh content. Otherwise your content becomes stale or dormant. I guarantee you that any competition doing better than you online understands this concept. 3. Automation Is A Magic Wand. Too many websites rely on automation. Yes, there is a place for automation but like all other Internet marketing elements, automation must be used with care and a thoughtful strategy. If not used with care, automation can be dangerous and received as spam. Search engines have the ability to see the same content being repeated over and over again. We are always looking for ways to make success faster and easier but when it comes to online marketing, the pendulum has swung in an extreme direction. You must think in the opposite direction and understand that real work is required to compete online. There is no magic wand. All inbound marketing work must be planned, developed with strategy and executed with thought and man power. These are the components that will make the biggest difference between success and... online darkness. The good news is that through the agency we have established here at Virtual Support Systems, you have access to the right degree of assistance. We are adept at listening and understanding your goals. We are also able to evaluate and understand your current condition. These two elements allow us to provide an appropriate proposal that addresses your specific needs. This is how you get possible solutions to your specific challenges in black and white with time to consider all details. This is the best pathway to success and return on investment, especially in the ever growing world of marketing online. If you would like to learn more and schedule a conversation about any of these components, just hit the button below and complete the online form that follows. Thank you for reading this blog post, we appreciate your valuable time. Virtual Support Systems is a certified inbound marketing agency. We help small business develop everything from a new website to the analysis and development of traffic, conversions & customers through SEO, blog strategies and social media planning. Services all offered through partnership.